Welcome! Thanks for taking the time to look through my project with Sojourn Music! 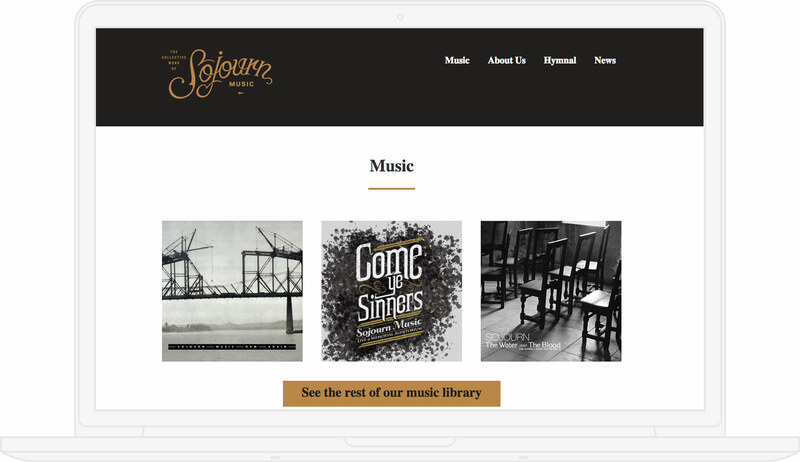 Sojourn Music was about to launch their new album and they needed a simple branded website that would allow them to share the album and share all their past chord charts and music. I worked closely with Mike Cosper and his team to create a simple Wordpress website that would be easy for them to add their past music as well as their new album. The website was a custom responsive Wordpress theme that was intuitive and easy to edit content with. As with every one of my clients, it's always better to have a simple solution to a problem rather than trying to be too smart for my own good. I'd like to think that I'm more like the Russians, who instead of creating a pen like the Americans for the space program, just took a pencil. 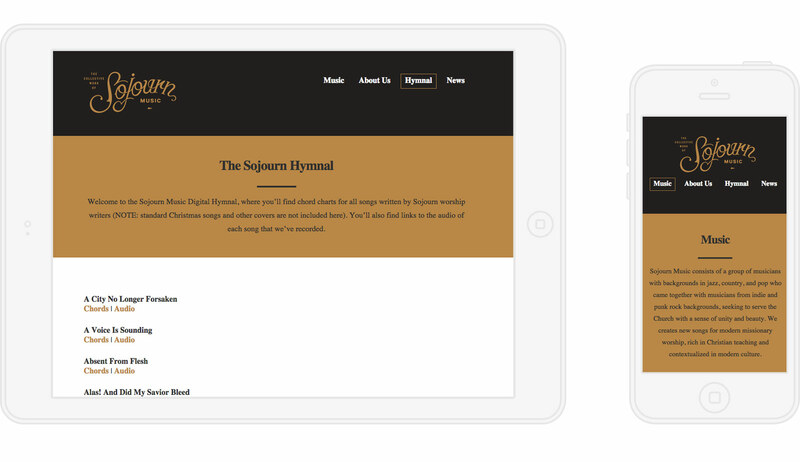 Do you want a simple solution to your project like Sojourn Music?